What is it Like to Have Spinal Stenosis? What is it like to have spinal stenosis? The answer really depends on who you speak to and what their personal experience has been with the condition. Some people suffer from terribly symptomatic versions of stenosis in the spine that can cause torturous pain and a range of disabilities of the central and peripheral neurological systems. Other people demonstrate the normal degree of stenosis that is considered universal for a given age and activity level. These people might have no symptoms at all, or might have some minor expressions. Their perception of stenosis will vary considerably from the tortured patients illustrated above. Finally, there are the opinions of healthcare providers, some of whom are objective and involved in quality research on the stenosis condition. Others are clinical professionals who deal with the ravages of stenosis in the worst affected patients. Meanwhile, still others are the opportunistic care providers who demonize any slightly atypical spinal condition and often blame pain illogically on completely normal extents of spinal aging. Right from the start, we can see that this will be a complicated essay, since the truth of stenosis resides in subjective opinion, as well as the objective experience with the condition. Therefore, we will provide a comprehensive answer that will cover all bases in order to explain to patients that stenosis is far more complicated than a simple one-size-fits-all diagnosis. What is it Like to Have Spinal Stenosis for Patients? Many people who have reached middle age or above have been diagnosed with spinal stenosis. 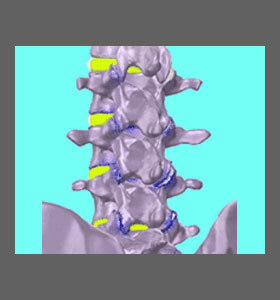 This means that their central vertebral canal is demonstrating a diminished patency compared to when they were younger. This should be no shock or surprise to anyone, since mild to moderate stenosis, particularly in the middle to lower cervical and lower lumbar regions, is virtually universally expressed. Most of these patients are asymptomatic and will remain so, often for life. So, if you ask these people what it is like to have spinal stenosis, they would likely reply that it is a bit of a concern, but no big deal, since it is not presently affecting their lives or causing any pain. Other patients might have been suffering back pain or neck pain and therefore sought out qualified diagnostic evaluation. Their symptoms have been blamed on the same degree of normal and expected stenosis in the central canal, without any verifiable evidence that neurological consequences are occurring. In fact, an objective medical observer would virtually always rule these stenosis circumstances harmless and far below the degree of inciting symptomatic activity. Nevertheless, these patients are diagnosed, never bother to seek a second opinion, and are placed in treatment. If you ask these patients what stenosis is like, they would reply that it is frightening and painful, even though it is not actually the stenosis causing their pain. What these patients are most suffering from is naivety, a lack of factual knowledge and overall lack of proactivity in their own healthcare, but they will place the blame for their suffering on stenosis, since this is exactly what their doctor is doing. The least fortunate patients demonstrate severe and extreme versions of central spinal stenosis. These people are suffering spinal cord compression that is verifiable and requires treatment in order to stop the symptoms, preserve physical functionality and maintain life itself. These patients are often terrified at the vision of spinal stenosis compressing their central neurological tissues, but are assured that treatment is available and actually stands a good chance of curing their suffering for good. What is it Like to Have Spinal Stenosis from a Care Provider’s POV? Many doctors know that spinal stenosis is normal to experience as people age. They maintain objective viewpoints about stenosis and will closely monitor patients who display signs of ever-increasingly diminished spinal canals. However, these doctors know that most patients will not suffer neurological compression and will seek to separate symptoms that are actually caused by spinal stenosis from those which might be incidental to the stenosis. This is proper diagnostic processing and the reason why so many patients are reassured that although they might have central stenosis, the canal narrowing is not the reason for their pain. These doctors will work tirelessly to determine and treat the actual source, leading to improved therapeutic outcomes. These doctors view stenosis as a potentially serious health issue, but certainly not one that is inherently painful or dangerous for most diagnosed patients. Most importantly, they will inform their patients of these facts in order to reassure them and keep them on the wellness path, rather than the sickness path. There are also doctors who do not want to go out of their way to diagnose patients with less obvious pain syndromes. The evidence of stenosis is present, so they might as well treat that first and see what happens. After all, stenosis can be a pathological condition, so they figure let’s deal with one thing at a time and check the results later. In a few cases, the patients might enjoy some degree of relief here, but most patients will continue to suffer, since the real reason for their pain has not yet been located. Meanwhile, they have endured whatever stenosis treatment was deemed appropriate by their lackadaisical doctor, often involving surgical intervention, without much, if any, benefit. These doctors view stenosis as a means to make a living and if the patient is on-board with the diagnosis, an easy way to afford that next vacation. They know it may or may not be the real problem, but to them it is a problem nevertheless and should be managed. The worst types of doctors are the ones who know definitively that the degree of stenosis expressed is normal and definitely not symptomatic. However, since imaging evidence can easily be produced showing a narrowed vertebral canal, the patient will be convinced through an often fear-inducing sales presentation that they are in dire health risk and require dramatic treatment. The way these doctors might choose to make their money varies, with some planning a long course of conservative care, followed by surgery and then more conservative care, others opting directly for surgery and still more selecting long-term noninvasive treatments exclusively. The path of therapy really does not matter, since the doctor knows that the real cause is not the stenosis anyway, so they are often not concerned with the scientific logic of their recommended therapy regimen. Money is the only motivation here and these doctors make plenty of it. Since diagnostic evidence of a change in spinal canal anatomy can be produced, these doctors stand virtually no chance of ever being questioned, reprimanded or prosecuted, even though what they are doing is technically not only against every ethical code, but also in violation of the laws of virtually every country on earth. These doctors view stenosis the same way they view any structural abnormality, as an opportunity to advance their monetary aspirations. They do not care about the results of the treatment, even if it means disability for the patient. Another person’s pain is little price to pay to become rich and powerful. There is no cookie-cutter case of stenosis. Therefore, we agree that stenosis can be no big deal or might pose a risk to life itself. Each case is different and deserves to be treated as such. Trying to fit each case into a “symptomatic” or “asymptomatic” box is nothing short of iatrogenic negligence. We have been campaigning for more regulations on the diagnostic practices of doctors for more than a decade and are happy that some safeguards have been recently instituted. More importantly, we are thrilled that our advocacy work has resulted in more knowledgeable medical consumers who are less naïve, more prone to question diagnoses and less likely to become victims of unnecessary treatment or surgery. These facts make us very happy. However, we know that the battle is far from over and therefore we continue our patient education and advocacy efforts. We warn stenosis patients to be mindful of their susceptibility of exploitation by opportunistic care providers. Fear is a powerful weapon that can short-circuit logic and make any diagnostic verdict plausible. Therefore, arm yourself with the facts of spinal stenosis and always seek other diagnostic opinions before agreeing to any type of care. We will continue to provide all the latest news on stenosis, as well as our famous focused patient guides covering every aspect of diagnosis, treatment and recovery. We invite you to begin or continue your stenosis education right here. We have hundreds of essays on the topic of spinal stenosis and will never seek to take advantage of the trust you have placed in us by steering you onto the wrong path. Remember, it is our sense of duty that motivates us, not our desire to take your money. This is why our websites are and always will be completely free to use. Be careful not to mistake sales pitches that might appear on care provider’s websites with medical fact. If their bottom line is to get as many patients into treatment as possible for fiscal benefit, then do not be surprised if the material on their website makes you think that you need their therapy also. After all, their content is written by medical marketing experts, not the doctor themselves. Meanwhile, our expert editorial board writes every word on this website and we stand behind our information with facts, instead of financial motivations. 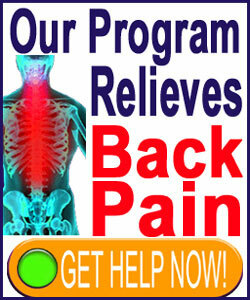 Spinal Stenosis > Spinal Stenosis Relief > What is it Like to Have Spinal Stenosis?